Large Folding Round Racks Are a focal point for apparel merchandising! Heavy-duty Chrome Clothing Rack with round tube hang rail is great for displaying a wide variety of apparel. Use 42 in. 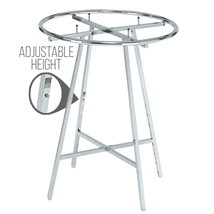 Round Apparel Rack with optional add-on ring and toppers to merchandise more products. Toppers available in Wire, Glass or Melamine, search round rack toppers. Push buttons allow legs to height adjust from 48 in. to 72 in. in 3 in. increments. 42 in. Round Apparel Rack sets up in minutes and folds for easy storage. Shelf supports and levelers included. Clothing rack casters sold separately. 42 in. 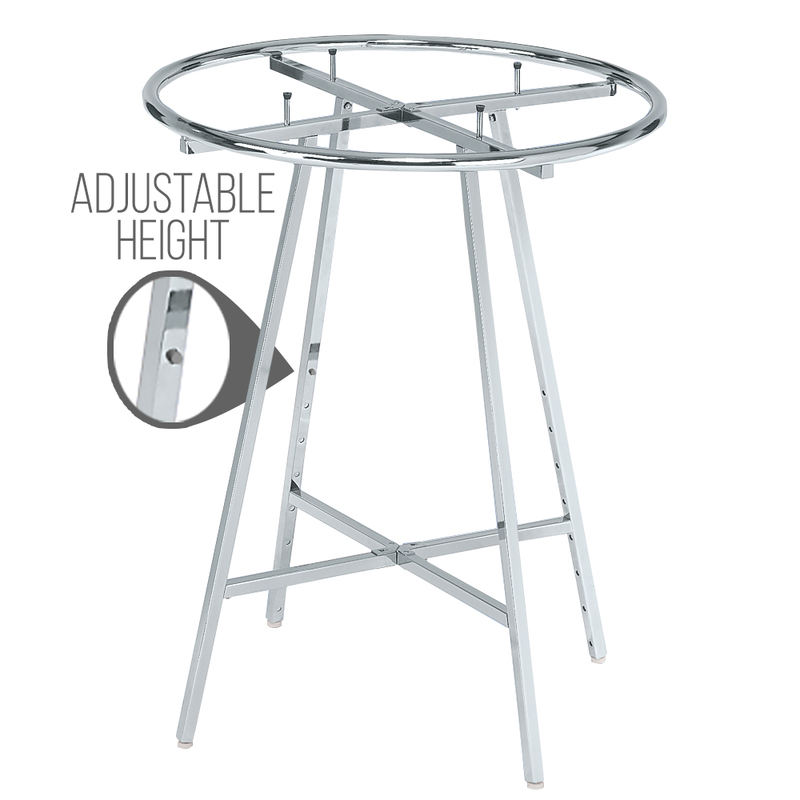 diameter add-on ring adds increased capacity, sold separately. Hardware included. For even more items, we ask you to take the occasion to review our full selection of retail clothing racks for sale at Specialty Store Services today.